Here are a few small pieces on alternative bridal makeup inspiration that we have had published in the gorgeous Amara Wedding Journal. Please check out their amazing website here at https://www.amara.com/weddings/journal/ for inspo, news and how to’s! 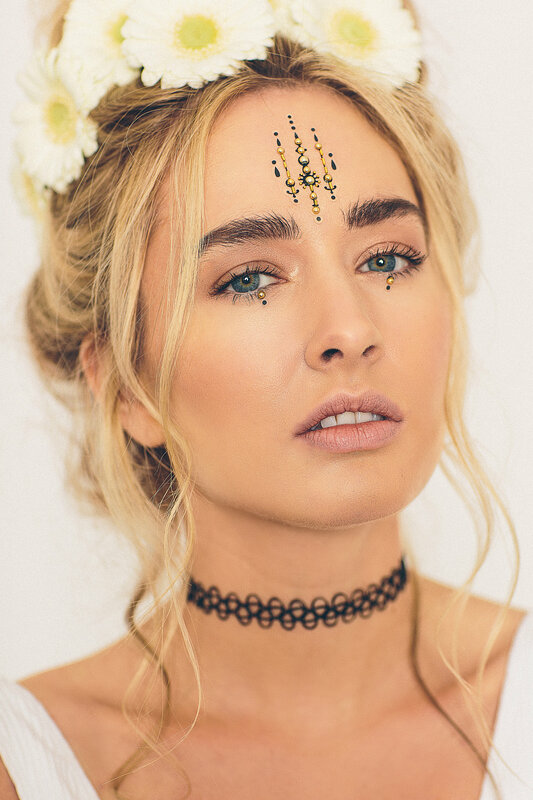 For all you festival loving brides, why not add some subtle gems, sequins or glitter to your bridal make-up to create a dreamy festival inspired look. 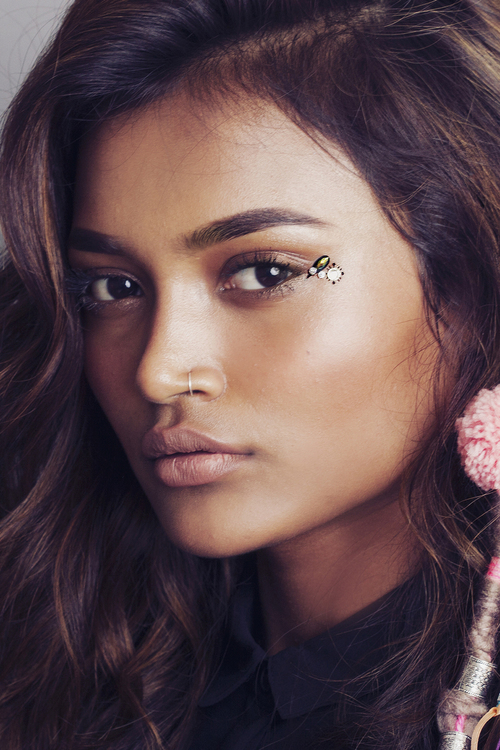 Either add a few embellishments at the corners of the eyes to catch the light or add a larger piece to the forehead for more of a statement look. If you are planning to go ahead with adornments do make sure you keep the rest of the make-up looking natural and fresh. The go to girls for all these lovely face jewels are experimental make-up brand It’s In Your Dreams. 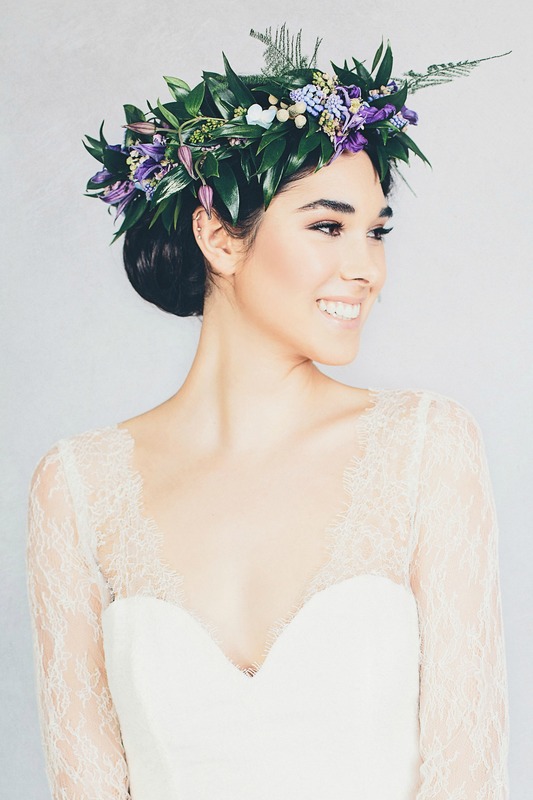 We’ve seen a lot of floral crowns gracing the pages of many wedding magazines and blogs recently so why not try adding a twist to yours by incorporating in some gorgeous green foliage to give a fresh feminine and unusual alternative to the traditional bridal crowns or veils. If there are any spring brides out there that are brave enough to use a bit of colour on their big day try adding a pop of subtle pastel green to the eyelids with minimal eyeliner, it will brighten the eyes and lift the rest of your makeup keeping it looking fresh. 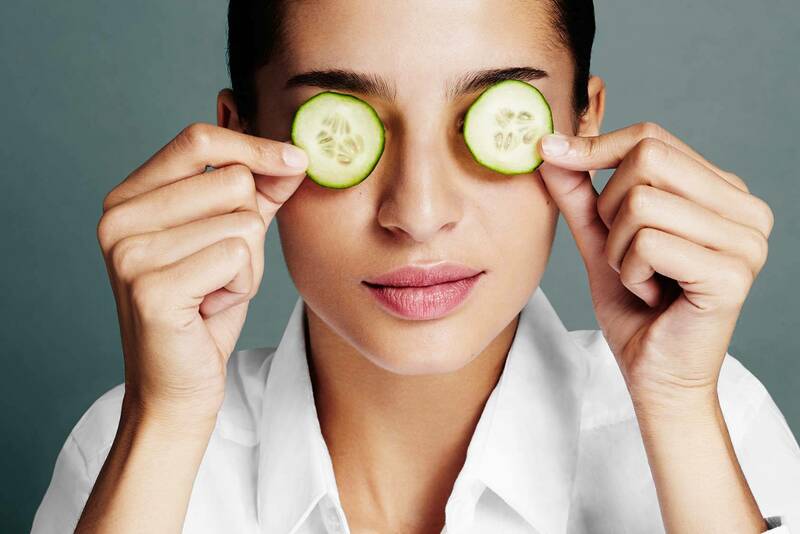 Surprisingly green suits all skin tones! 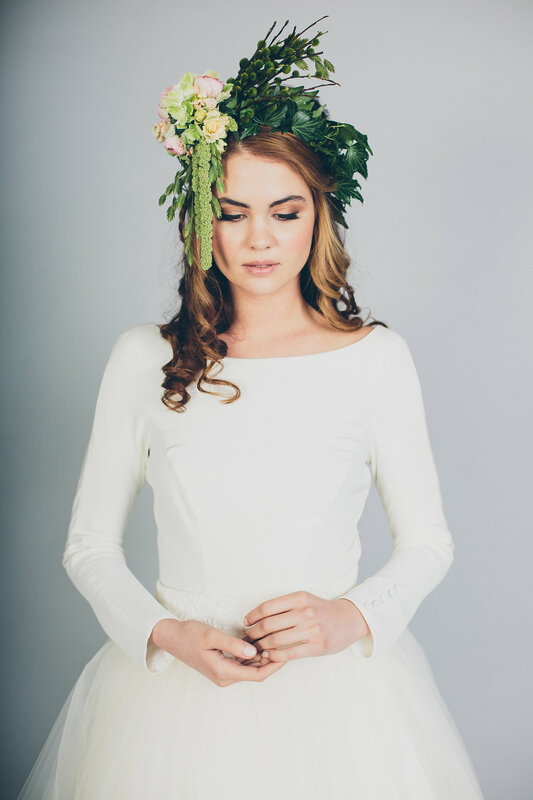 Here’s some gorgeous images from a shoot we did with Elizabeth Stuart bridal design where we worked with some amazing floral head pieces. If you have questions about any of these looks, your own bridal make-up or any other makeup for that matter, please do not hesitate to contact us here.